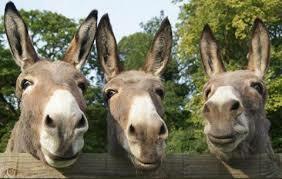 THE Government will not license a donkey abattoir that is being built in Bulawayo. The Department of Livestock and Veterinary Services DLVS) made the announcement last week as the Zimbabwe National Society for the Prevention of Cruelty to Animals (SPCA) said it had put down over 10 donkeys that were destined for slaughter at the proposed facility. Bulawayo SPCA Veterinary Surgeon, Dr Anele Dube said the donkeys which were being kept at a feedlot at Manningdale low density suburb were killed two months ago after the animal welfare organisation noted that they were in a bad condition. This followed a visit by the SPCA and Veterinarians for Animal Welfare Zimbabwe (VAWZ) officials who recommended that the animals be euthanised as they were severely injured while others were sickly. “We went there and identified about a dozen donkeys that were seriously sick and those were destroyed, they were euthanised humanely and we didn’t have any problems with (Mr Gareth) Lumsden (owner of the donkey abattoir) and we go there regularly at least once a week,” said Dr Dube. Battlefront Investments had bought about 200 donkeys from areas such as Kezi, Plumtree, Nkayi and Gokwe for slaughtering at the abattoir in Waterford which was supposed to start operations before the end of October. Pressure has been mounting on Mr Lumsden to drop the initiative with animal welfare groups considering instituting legal action. DLVS director Dr Josphat Nyika said: “We don’t know about the donkey abattoir, when it was constructed or if the construction has been completed. I have never seen any application for the setting-up of a donkey abattoir. We are the registration authority and after all we don’t have laws that allow for the registration of a donkey abattoir. “It’s not even there on (Abattoir Inspection and Certification) SI (Statutory Instrument) of 1995 of the Veterinary Public Health thus it can never be registered. As the Department of Veterinary Services we report to the Ministry of Agriculture, Mechanisation and Irrigation Development,” said Dr Nyika. The other SIs that fall under the Abattoir Inspection and Certification are SI 111 of 1984 and SI 369 of 1998. The company had intended to export donkey meat and hides to China where they are in demand especially the latter, to produce a traditional Chinese product called ejiao.